Keep Your Lawn In Top Condition With Ryno Lawn Care! Serving Grapevine, TX and surrounding areas since 2006. Providing consistent weekly lawn care will keep your yard looking excellent at all times. A lot of people make the mistake of cutting their grass very short every once in a while. This is bad for your lawn. It’s best to just trim a quarter-inch once a week so that your can grows and stays healthy. Lawn Fertilization and Sod Installation using only the highest quality sod. We know how to control weeds and keep your lawn looking great. Why not simply enjoy your yard without engaging in backbreaking labor? 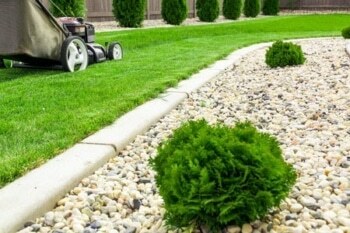 Your yard will look beautiful when you invest in Ryno Lawn Care in Grapevine, TX weekly lawn care service. Landscaping Services are also available.